When the morning rises.. your heart will stretch. While the night rests… your mind will still. In the starlit space between dusk and dawn, feel the anticipation for how much a day will abSOULutely offer. Your soul will soak in the love… A gift to take home. 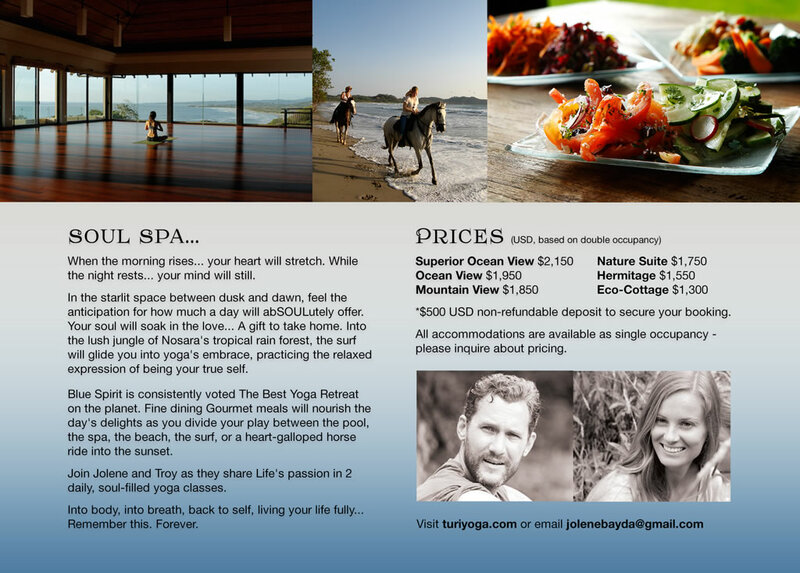 Into the lush jungle of Nosara’s tropical rain forest, the surf will glide you into yoga’s embrace, practicing the relaxed expression of being your true self. 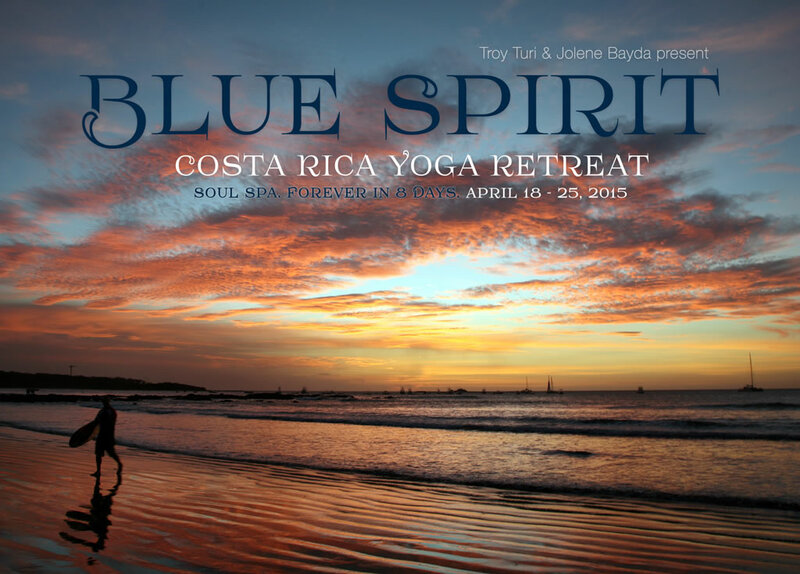 Blue Spirit is consistently voted The Best Yoga Retreat on the planet. Fine dining Gourmet meals will nourish the day’s delights as you divide your play between the pool, the spa, the beach, the surf, or a heart-galloped horse ride into the sunset. Join Jolene and Troy as they share Life’s passion in 2 daily, soul-filled yoga classes. Into body, into breath, back to self, living your life fully… Remember this. Forever. 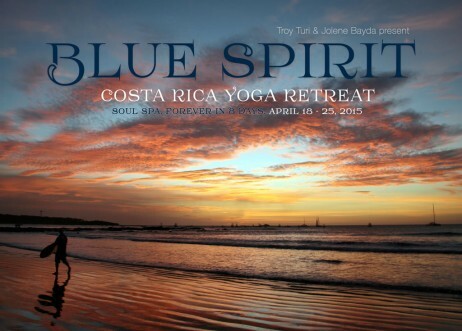 *$500 USD non-refundable deposit to secure your booking. All accommodations are available as single occupancy – please inquire about pricing.